There are redheads, and then there's The Red Hood. Jason Todd leaps into the air with both guns drawn! 12-inch scale statue features a super-dynamic pose. Inspired by Kenneth Rocafort's amazing work on Red Hood and the Outlaws. 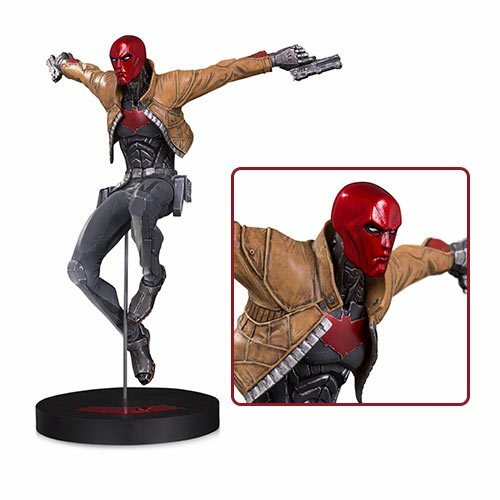 Inspired by Kenneth Rocafort's amazing work during his run as artist on Red Hood and the Outlaws, this 12-inch scale Red Hood statue features a super-dynamic pose of Jason Todd leaping into the air with both guns drawn. The artist's fine style is perfectly represented in the DC Designer Series Red Hood by Kenneth Rocafort Statue that measures slightly under 13-inches tall and is made of polyresin. The DC Designer Series statues are based on art from the comics industry's top creators and recreate their vision in vivid 3D detail.